Summary, etc. 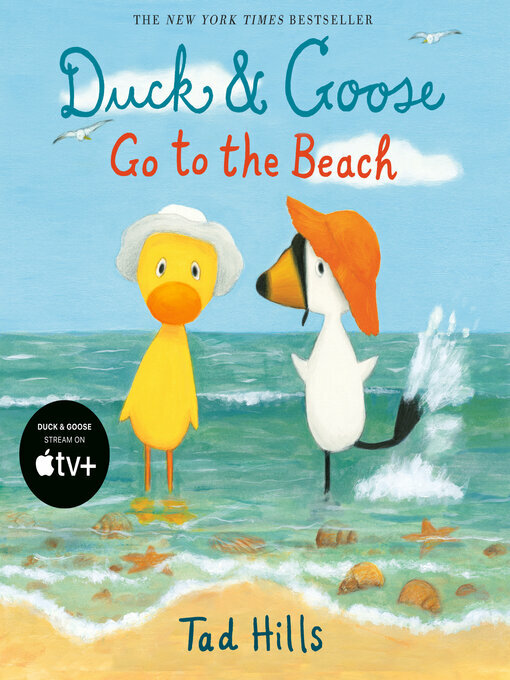 : In this delightful follow-up to the New York Times bestselling Duck & Goose and Duck, Duck, Goose, Duck wants to go on an adventure. Goose doesn't. He doesn't see the point. After all, why would they go anywhere when they're happy right where they are? But then Goose sees the ocean and loves it. Who doesn't? Well, Duck, for one! Electronic reproduction. New York : Schwartz & Wade, 2014. Requires Adobe Digital Editions (file size: 6861 KB) or Amazon Kindle (file size: N/A KB) or OverDrive Read (file size: N/A KB).